Mumbai, March 6, 2019: The Sri Lanka Tourism Promotion Bureau (SLTPB) has engaged an award-winning team of nature documentary filmmakers to create a first-of-its-kind three-minute film capturing the irresistible island of Sri Lanka, from the perspective of the country’s rich and diverse wildlife. The SLTPB released the film to evoke the essence of its new branding – ‘So Sri Lanka’ – which encapsulates the fact that Sri Lanka is more than just a destination, it’s a feeling. To entice experience-seeking travelers to visit Sri Lanka – named by Lonely Planet as the best country in the world to visit in 2019 – the film captures Sri Lanka’s stunning landscapes and vibrant culture from the viewpoint of the country’s most extraordinary inhabitants: its wildlife. The film includes ‘up close and personal’ footage shot with (and by!) some of Sri Lanka’s most iconic residents – including elephants, turtles, leopards, blue whales, and fishing cats. The filming and production team behind the film all have extensive experience working with the BBC’s Natural History Unit, collectively responsible for some of its most spectacular series including Blue Planet II, Africa, Human Planet and Our Blue Planet, the digital campaign around Blue Planet II. The captivating three-minute film takes us on a wild journey across the island nation’s stunning landscapes. 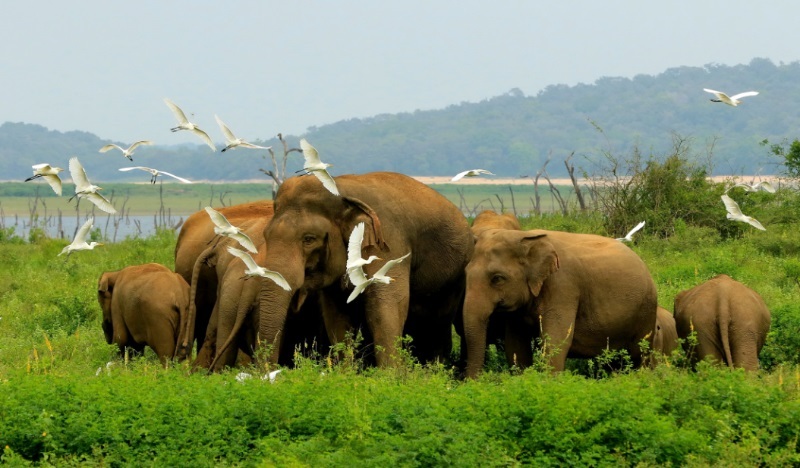 Footage includes following a newly hatched sea-turtle’s journey to the sea on the endless white-sand beaches of the south coast, to getting a soaring “eagle”-eye view of the spectacular ancient Sigiriya rock fortress; and watching the world’s largest elephants travel in their home in the sprawling Udawalawe National Park, as well as witnessing doves waking with the vibrant sunrise over Colombo. The new ‘So Sri Lanka’ branding, developed by J. Walter Thompson and Landor, was revealed at the World Travel Market in London in November 2018 and marked the start of Sri Lanka’s fresh approach to destination marketing. The film, which brings the new branding to life, is being shown tomorrow at ITB Berlin and can be watched here:www.Srilanka.travel or on Facebook, YouTube, Twitter, and Instagram. Disclaimer: The Daily Brunch does not hold the rights to the images.